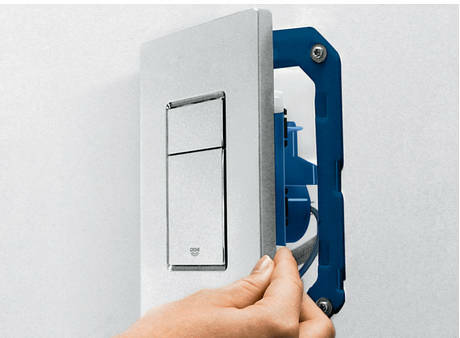 Creating innovative solutions for everyday problems is something that GROHE is proud of. 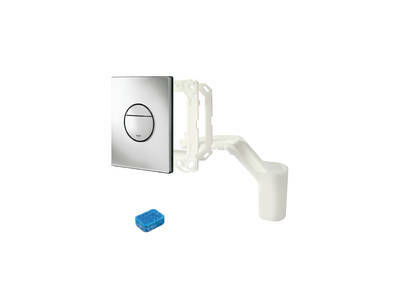 GROHE Fresh brings a new level of convenience to the bathroom. It allows you to have the best of both worlds – the clean lines achieved from choosing a concealed cistern and the continuous hygiene and cleanliness associated with cistern blocks. Until now, it was not possible to access a concealed cistern to add a cleaning block. GROHE Fresh features an easy-to-open actuation plate, which gives access to a slide delivering the tablet into the cistern. 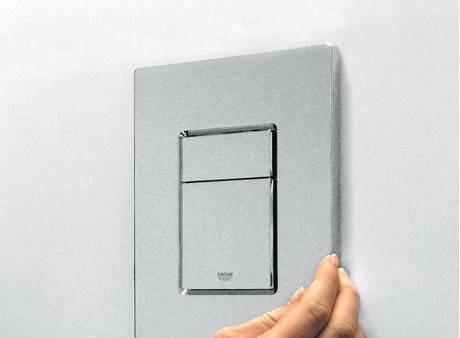 The entire process takes seconds, thanks to the hinged plate that opens like a door. GROHE Fresh is compatible with all GROHE concealed cisterns with small actuation plate – whether it's a new installation project or the upgrade of an existing one. It is offered as a set with the actuation plate of your choice, or as retrofit accessory to use with your current cistern and plate. 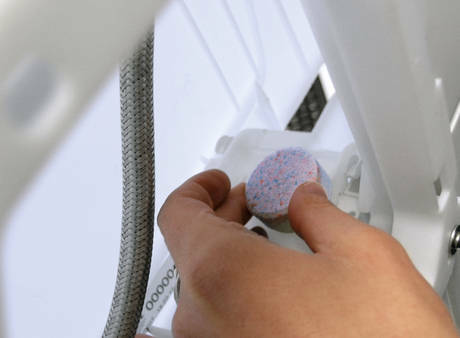 For older cisterns, simply remove the fixing frame, add the slide to the cistern and attach the new frame, then re-connect the pneumatic hose to the actuation plate. 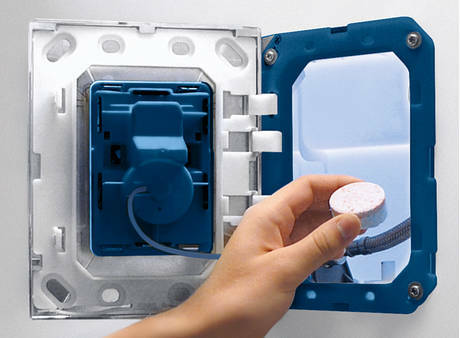 For cisterns without the AV1 flushing valve, a complete upgrade kit is available. Standard WC tabs in concealed flushing cisterns? No problem with GROHE Fresh!